On a scale of comfortable drinking wine outside to being a human Swiss Army Knife, how outdoorsy are you? 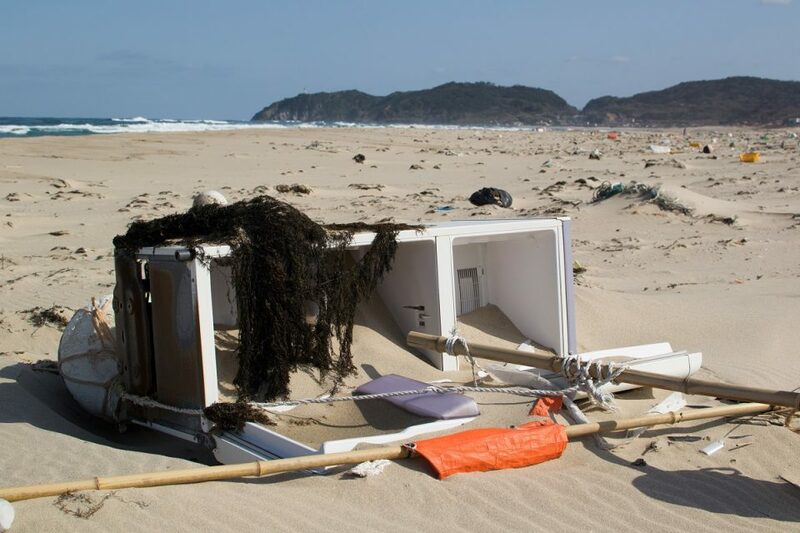 The good news is that no matter how you answer that question, you have what it takes for a stay at Hamada Beach (which is what the residents of MCAS Iwakuni call it). The Japanese locals know this campsite as Iwami Seaside Park at Hamada Beach. 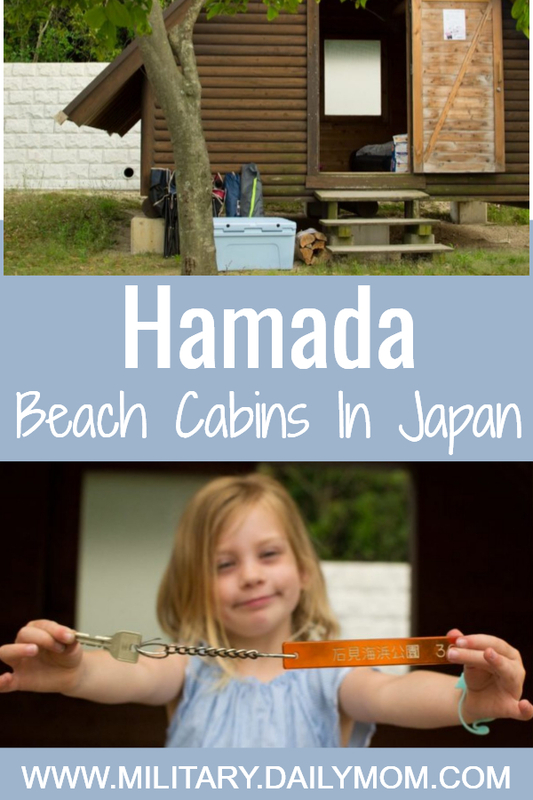 Whether you’re up for tent camping or you’d prefer the Cadillac of Hamada Beach cabins, you’ll fall in love with this little stretch of Japan and maybe even impress yourself with your roughing-it capabilities. The Hamada Beach cabins are just one piece of a sprawling property that is a Japanese-style wellness park (with tennis courts, jogging trails, etc.) and varied beach landscapes. It’s a beachcomber’s and hiker’s paradise (and no, you don’t have to be either to enjoy Hamada Beach). And, it’s a clean, quiet campsite that is an easy trip from MCAS Iwakuni and a perfect way to spend a 72 or 96. Unless you happen to speak enough Japanese to make the reservation over the phone by yourself, your best bet is to stop by Information, Tickets and Travel (ITT) aboard MCAS Iwakuni (or wherever in Japan you’re stationed) and have them make the call on your behalf. You can also visit the Iwami Seaside Park website to get a visual on the campgrounds and surrounding area and some basic information (as long as you’ve installed Google Translate). During the summer months, reservations fill up early, so plan in advance as much as possible, especially if you plan to book several cabins. Reservations are accepted up to five months prior to your lodging date, and you can get a vague idea of availability from their website. When you make your reservations, be sure to know what you’re after. 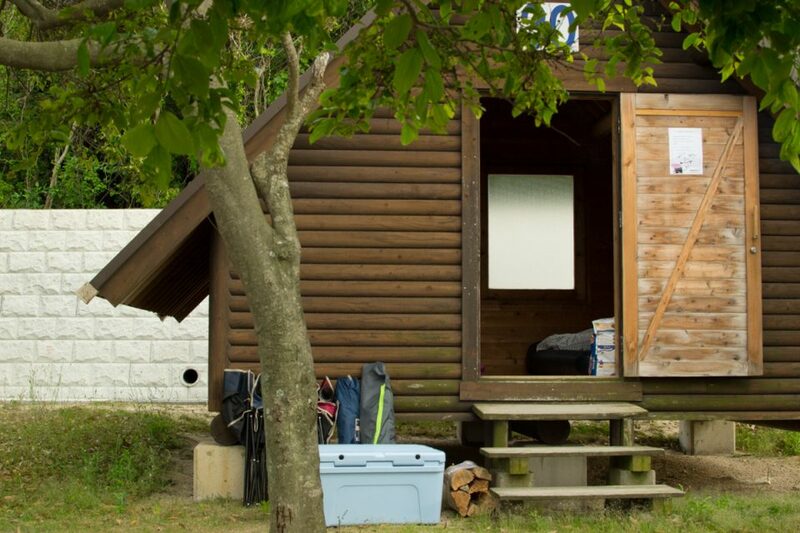 You can choose from auto camping, tent sites, B-Cabin sites (furthest from the beach and parking, but with the option of air conditioning and heating in the large cabins), C-Cabin sites (close to the beach and parking, but without A/C and heat), and small, medium, and large cabins at both B and C sites. 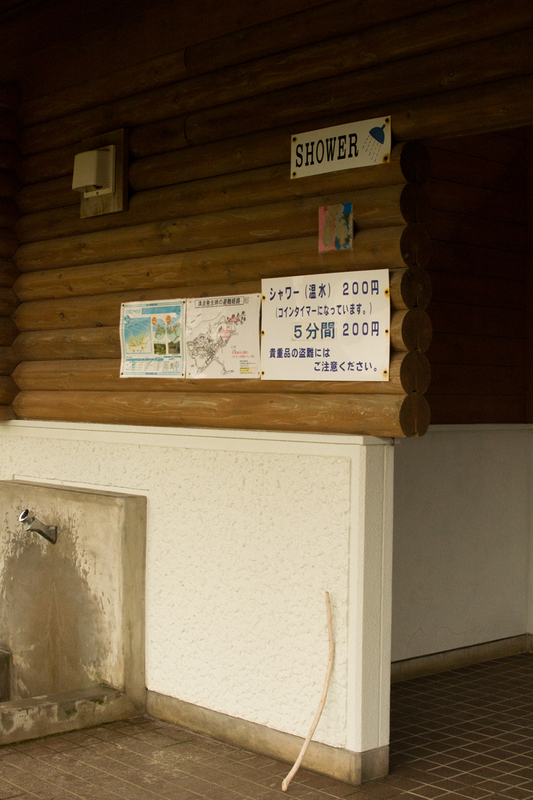 Cash is king in rural Japan, and the campground at Hamada Beach is no exception. You will pay nothing to hold your reservation, but you will pay up front and in yen cash upon arrival, so be sure to withdraw plenty of yen to avoid a last-minute race to the 7-11 down the street. Note that only one car and one tent or tarp are permitted at one auto campsite. 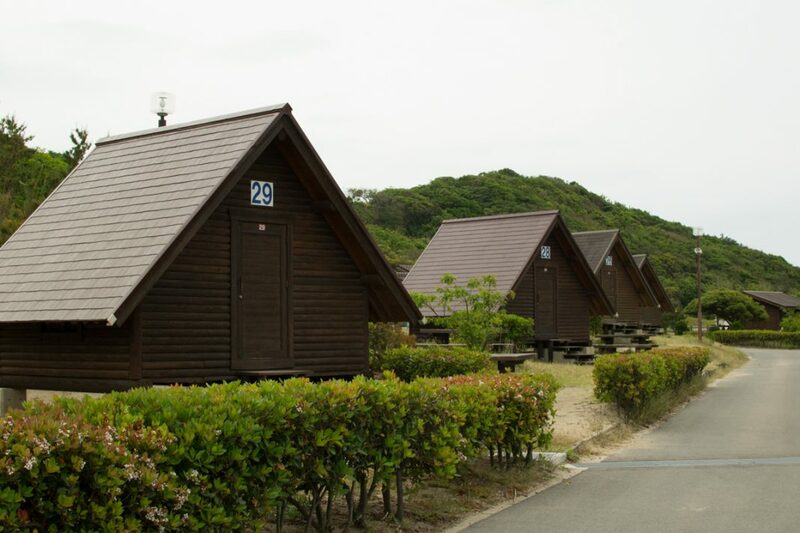 Iwami Seaside Park also has a free camping area that requires you to bring your own tent. No cars or bikes are permitted in this area, and reservations are not accepted. So, if you’re a total camping badass and you like to gamble on whether or not a spot will be open the day you arrive, give this option a shot. In addition to paying for your full stay upon check-in, you’ll be asked if you want to spring for access to electricity in your cabin (or at your auto campsite). 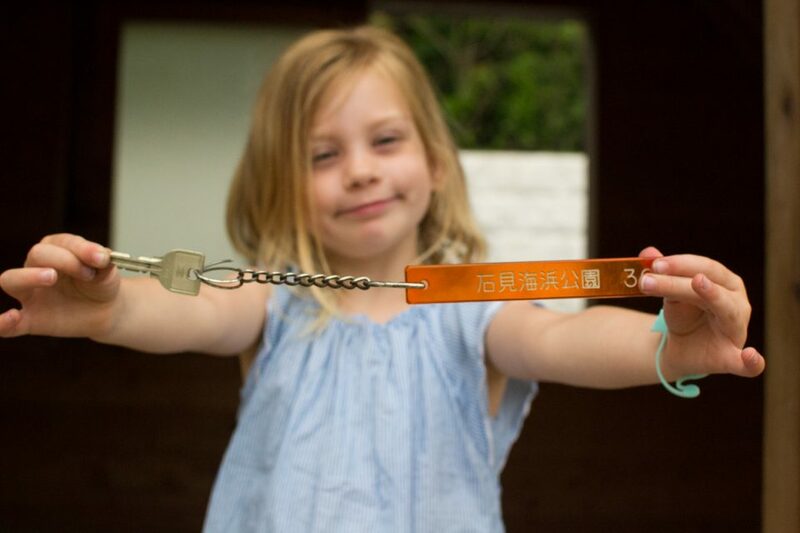 If you do, you’ll be asked to pay an additional 510 yen per day which gives you a magical key that makes the outlet in your cabin work so you can charge your phone while you’re off the grid — your Insta followers need to know what you’re up to, after all. In all seriousness, the electricity is clutch if you want to use chargers, an electric griddle, or a pump to inflate air mattresses. Speaking of things you want to plug in, what do you need to load in the car to make this camping trip as comfortable as possible? The cabins are not furnished with anything other than a broom, a small shelf, and a fire extinguisher. You’ll need to bring anything else you think you’ll need. Each cabin does have a picnic table and benches just outside the door, so outdoor dining and seating are covered. There are community kitchen areas with sinks and several grills. If you’d prefer to bring your own portable grill, you’ll have plenty of room outside your cabin to do that. The restrooms are also shared. Toilet paper is provided (although, you can never have too much TP, right), but you’ll want to bring your own hand soap. The showers are coin-operated. You’ll need plenty of 100 yen coins (and there is no change machine on site), shower shoes, and your own soap, shampoo, and towel. Because it’s Japan, in addition to all the usual camping staples, you’ll also need plenty of trash bags. Your trash must be separated and disposed of correctly when you check out. You can check in between 4 and 5 p.m., but that doesn’t mean you can’t arrive early and explore the sprawling park. In fact, taking a little time to cruise through the winding roads of the park is a great idea, that way you can see just how far the park extends and you can find hidden paths and playgrounds that you might have otherwise missed if you darted straight for your cabin. To the left of the cabin area, you’ll follow a long road that ends in a parking lot. Hop out and follow the trail to some pretty spectacular views of the water. In the same area, you’ll also find a playground situated on a hill that will tire out your tiny campers. In the opposite direction, farther down the beach, you’ll likely notice two things: a huge, white, wave-like structure and a lighthouse on the cliff. The white structure is the entrance to the Aquas Aquarium, which is a great way to spend the day out of the elements if you catch some bad weather. This is one of the only aquarium in western Japan where you can see belugas, which is pretty cool, but you’ll also see penguins and all kinds of other freaky fish that will probably convince you to stay out of the ocean. Behind the aquarium is a sprawling playground structure that will dwarf any other Japanese playground you’ve ever seen. Your kids could spend an entire day here and not try everything. Parking at the aquarium is free, and there is a little village (read: strip mall) with noodles, ice cream, drinks, and vending machines if you’ve reached your limit on campfire meals. The lighthouse, farther down the beach, is the finish line for a great hike that offers breathtaking views down both sides of the coast. There is also plenty of parking at the trailheads. The white-sand beach is beautiful but littered with a whole lot more than sea glass and driftwood. If you’re into beachcombing, you have your work cut out for you. It’s best to wear shoes as you treasure hunt, though, as there are plenty of broken lightbulbs and rusty pieces of metal the farther away from the shore you get. Once you’re ready to claim your stretch of beach, just spend a little time clearing a spot, and you’ll be fine. The water can be quite rough at the shore for much of the year, but down the beach to the left is a calm, shallow cove that is ideal for swimming or float. Never take the shower stalls at the end. They have bugs that will scar your prissy preschooler for life and have her dramatically telling fellow campers, “That’s the worst thing I ever did!” and have you doing naked martial arts with one shower shoe as you balance on the other. If you’re thirsty, remember you’re in Japan. There are vending machines on site. You can have your choice of water, flavored water, tea or coffee (cold or hot). Bring bug repellant. The mosquito coils and wristbands work well. The hawks are freaking fearless. Watch your lunch. Bring enough snacks (and drinks) and clean clothes to keep all the campers happy, and you’ll have a great trip and make some great memories with your family and friends. Ready to island hop? Check out the camping situation at the Okuma Resort in Okinawa, Japan. Kristi is a proud Marine Corps spouse, mom of two smart, sassy kids, and native Texan. She started writing in 2009 -- her blogs are featured on Military OneSource's Blog Brigade. Kristi is currently balancing graduate school and life at an OCONUS duty station.